Let’s face it! The restaurant business is extremely competitive. There are countless restaurants in every town/city globally, which is why serving the best food doesn’t always mean you’ll get a full restaurant every single night. Although it’s the first step towards success, your restaurant must be able to attract and maintain guests to stand the test of time. As a restaurant owner, your most important goal should be making sure every single guest you serve wants to come back. To do this effectively, you’ll need to do several things. Below are some of the best tips to consider when you want to attract more guests into your restaurant and keep them coming back for more. This should go without saying. The most important goal of a restaurant owner should be to serve the best food possible. As mentioned above, serving good food is the first step towards making sure every guest who visits and eats in your restaurant wants to come back. As a result, you shouldn’t compromise on all matters pertaining to food especially quality. You must serve fresh, high quality and delicious food to get your guests to enjoy their experience and recommend your restaurant to their friends, family members, colleagues etc. A restaurant that is known to serve great good has no problem attracting and maintaining guests. You should also consider hiring friendly staff only. 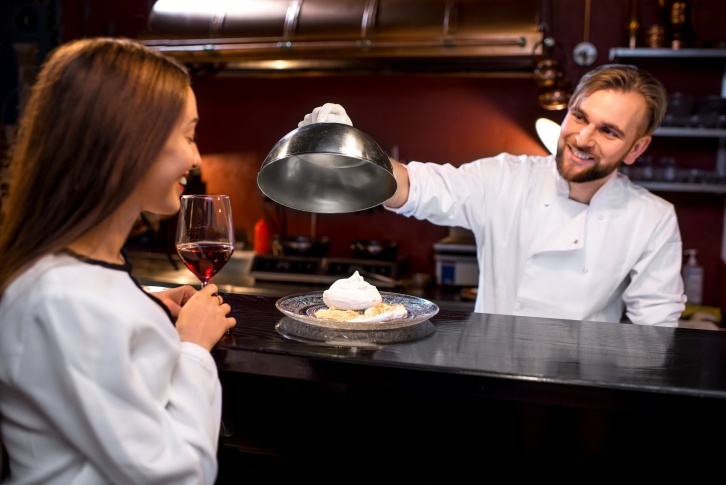 Restaurant service is a huge part of the overall restaurant experience since guests must order food and drinks via a waiter. Even in cases where food can be ordered online in advance or electronically there has to be a contact person/s to welcome guests, take feedback, attend to unique requests etc. Such staff should be friendly to enhance the overall experience. Rude staff can chase away your most loyal customers regardless of how good the food is. This is by far one of the best ways of creating customer loyalty in any business let alone restaurant business. If your customers get rewarded for eating in your restaurant, they won’t see the need to eat anywhere else. Most people don’t get anything from restaurants apart from the food they have bought. A points and rewards card is therefore a great way to attract repeat customers. If your guests can redeem their points after a while and get free meals/drinks, you can be rest assured they will keep coming. This is another great way to keep your guests coming back to your restaurant. Free meals/snacks/drinks give your guests a good reason to visit your restaurant again when they can go anywhere else. Customers love free gifts so coupons are great for encouraging customer loyalty. You can go as far as offering extra coupons to encourage your guests to invite their friends and family members on their next visit. This is a great tip for attracting guests to your restaurant during off-peak hours. Typically, restaurants are packed during breakfast, lunch and dinner hours. To encourage people to visit your restaurant during the rest of the day, you can introduce ''happy hour'' where you give free meals/drinks or huge discounts such as; buy-one-get-one-free. This tip has been successfully used for years (and is still being used) by many restaurant chains globally to attract customers. Many restaurants depend highly on local clientele to survive. Your most important guests are the people who live and work around the area your restaurant is situated in. In fact, a restaurant can’t survive without the support of local clientele since what makes a restaurant really successful is repeat customers and unless someone lives/works nearby, they can’t be able to visit your restaurant often. This is precisely why it's important to do local advertising intensively. Everyone who lives and/or works near your restaurant should know of your restaurant’s existence. You can issue flyers and/or use local advertising channels like local radio/TV. Your restaurant should also take part in local events to expand local reach. The above information is some of the most important tips to consider when you want to attract more guests to your restaurant and keep them coming back. Although there may be other tips you can use to get an even better result, the above tips are adequate enough to help you attract countless new and repeat guests to your restaurant.